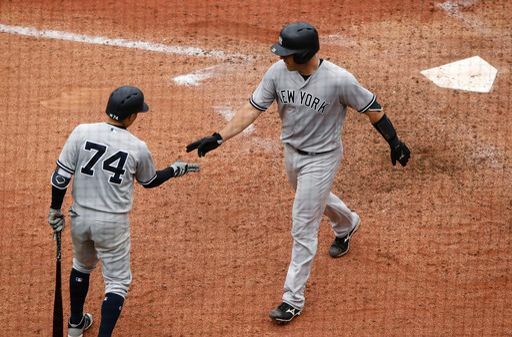 Eight is great, but the first place New York Yankees will look for their ninth straight series win, as they head into Texas to take on the struggling last place Texas Rangers. Masahiro Tanaka looks to ride the ship from his previous two starts. Against Boston and in a shortened outing against Washington, the right hander gave up 12 hits, seven runs (three of which have been home runs) in only 10.1 IP. In his three starts before this patch, he had only given up five runs in 18.2 innings against playoff contenders like Houston, Anaheim, and Minnesota. He will be facing an injury plagued Texas Rangers team who offensively aren’t the same as last season. In two starts last season, he only gave up seven runs against a then potent lineup. However, all of those seven runs came in one game in Texas, one in which he only lasted four innings. Which Tanaka will show up on Monday? We will wait and see. Coming off an impressive start in which he had 7.2 IP of shutout baseball against Seattle, the man who never seems to age, Bartolo Colon will take the mound for the Texas Rangers. Not only was his last start impressive, he is 2-1 with a 3.04 ERA in his last four starts. However, in his first start in May against Boston at home, he gave up four runs, all via the long ball. The Bronx Bombers could tee up against the 44-year-old righty, as Colon has a lifetime line of 6-9, 6.11 ERA in 20 career starts against them. The highest of highs, and the lowest of lows so far in a short time frame for the rookie Germán. After taking over for an injured Monty against Houston (providing four innings of scoreless baseball), he would get his first career start against Cleveland. In that start he had a no-hit bid for six scoreless innings. With a career high 84 pitches, and not wanting to extend him past those six innings, the Yankees took him out of the game to preserve the rookie. 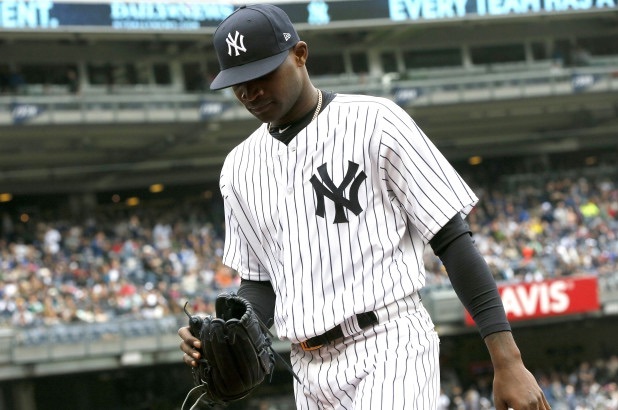 The Yankees were looking for more of the same in his next start, unfortunately, he didn't do so as he allowed six runs, six hits, in only five innings pitched, only reaching 74 pitches. Germán will be making his first career road start in this matchup against the Texas Rangers. How Domingo responds will be a sure sign if they try and make a bid for a starter, possibly his countermate in this matchup, Mr. Hamels. As previously stated, going for the Rangers will be Cole Hamels. Scratched from his previous start, due to neck stiffness, the lefty will look to put another impressive outing against playoff caliber teams. In his prior three starts, he has only given up three runs in 17 IP, against Boston, Cleveland, and Houston. But, with the lack of offensive support, partly due to injuries, he has only one win to show for it. 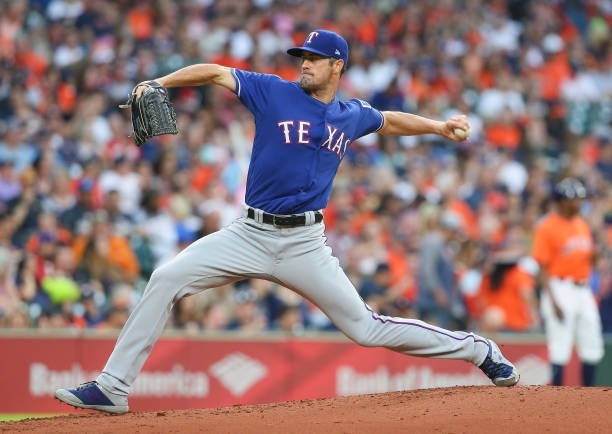 With the Rangers playoff hopes all but dead, Hamels if he continues to pitch the way he has, will hope to be the 2018 version of Justin Verlander for some hopeful team. Due to injury, Hamels did not have a start against the Yankees last season. 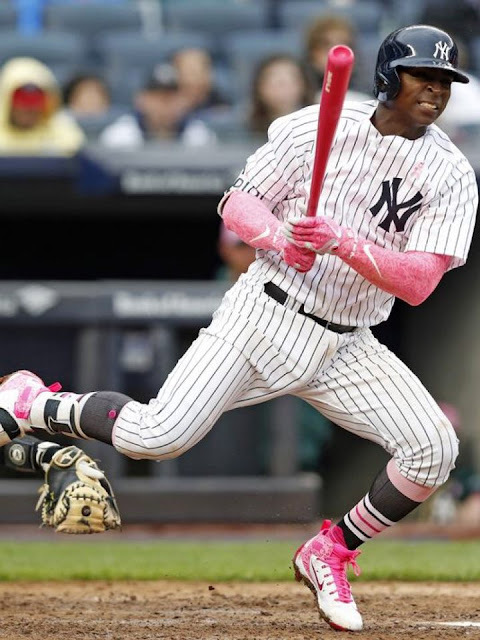 Didi Gregorius: 4-8, .500, 2 2B. After starting the season strong, the veteran left hander has struggled in his last two starts. He’s given up eight runs in only nine innings pitched. In fact in his last outing against KC, he threw 99 pitches in five innings, and 79 pitches in only four innings against Boston before that. In the three starts before those back to back poor outings, he averaged 85 pitches in 6 IP. He did not record a start against them in 2017, but in 2016 he was 0-1 while giving up nine runs in 13 IP. He could benefit with Adrian Beltre still on the DL, who is 12-41, .293, 2 HR, 9 RBI against CC. Going for the Rangers will be Doug Fister. Fister filled in nicely on Thursday for Hamels, going seven while not surrendering a run. He didn’t allow a walk and stranded six base runners. He is looking to get his first win since his first start, which was way back on March 30. In two starts against the Yankees while with Boston, he was 1-1 in 9.2 IP, and allowed four earned runs. With playing time bound to diminish once Bird gets the call, look for Walker to put up good numbers in this series. With good lifetime numbers against the two righties, he could have himself a good series, and cement his mark on the big league roster. In his last four games, he is 6-19, with 3 RBI, 3 R, and 2 2B. We saw how well the pressure worked for Hicks with Frazier being called up, the Bird watch could further help Walker’s production in this series. The other player who could see his playing time diminish, or even get sent down, is Tyler Austin. When Greg Bird went down before the start of the season, no one could have expected the production Mr. Austin would provide. After having a .290 batting average and five home runs to end the month of April, he would go on a slump which saw his average drop to .222. However, in his last six games, he is 6-21, 3 HR, 7 RBI; raising his season average to .261. Providing a solid right-handed bat off the bench that can drive the ball will be intriguing, if Austin has himself an impressive series against Hamels and the Rangers. Yes, Didi Gregorius. After winning the player of the month last month, Didi has gone missing. He was benched after going 16-87 in his last 21 games, with a horrid 1-42 stat line in his last 42 plate appearances. Boone gave shortstop the weekend off in Kansas City, with hopes of easing his mind through this slump. He will return to the starting lineup Monday against the Rangers, where he has .286 batting average against Colon and .500 batting average against the tough left-hander Hamels. It is only a matter of time, before Sir Didi returns back to form. With the team looking forward to the future, Yankees fans will want to pay close attention to Hamels’ start on Tuesday. If he can put up another impressive outing against a playoff caliber team, the Bombers might start making phone calls for the veteran lefty. He is only guaranteed to be under team control for this season, with a club buyout option set at six million. However, the 2019 option is guaranteed if two things happen. First, he has to have 400 IP in 2017-18, including 200 IP in 2018, and the second thing for him is to not land on the disabled list with a shoulder or elbow injury at the end of the 2018 season. The veteran missed his last start due to neck stiffness. This should be series win number nine, with their true test coming in game two vs the Texas ace Cole Hamels. Look for a lot of homeruns by the Bombers in game one, as Colon has been known to give up the long ball vs the Yankees, and the fact it is a hitter friendly park. With Greg Bird arriving to the club shortly, this will likely be the last series with this current offensive output.